As a small business owner I am looking to outsource the areas of my business that are not within my core skill set. 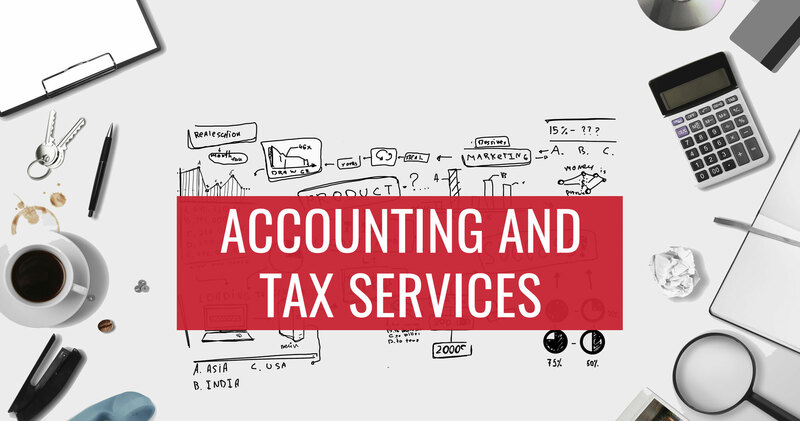 As a marketing services company I needed an accounting firm that could holistically manage my finances, from accounts payable and accounts receivable to tax and bookkeeping. I selected Foresight Business Solutions because of their competent team of CPA’s, their excellent customer service, and their subscription based pricing model. Foresight also is very progressive in their use technology as it applies to the accounting space. They allow customers to view financial information in real time via cloud software applications. Set up merchant services for customer payment via mobile applications. Integrate financial software with customer relationship management software. This technology integration allows me to have a 360 degree view of my financial information so that I can make better business decisions on the fly. I have been extremely happy with the services that I have received from Foresight and would highly recommend them to both small and medium size organizations that need bookkeeping, tax, billing or financial consulting help. Ryan Correia and the team at Foresight Business Solutions are truly some of the best people we partner up with. They have gone above and beyond in providing our small business the most focused attention we could ever ask for. They have been detailed, driven and determined to bring the accounting/payroll in our family bakery up to its absolute best, and I will forever be indebted to them. They make my life so much easier in knowing that I can just reach out to them via phone call or email with any questions and they will get an answer back to me right away. We cannot thank them enough for all the advice they have given to us over the years and we look forward to many more years to come! Foresight Business Solutions has been an integral part of our companies growth. It is so easy to get caught up in running your small business that you forget the necessary steps to success. Greatness never happens on accident. This is where Foresight steps in. It is with them that we have developed a solid plan and strategy to analyze the key indicators of my business with our dashboard analysis. We have dashboards for cars which are $20,000 dollar pieces of machinery that depreciate, why not build a dashboard for your small business that is worth much more so that it will appreciate. Now, I can look at many facets of my business monthly from an executive level and know when and how to pivot. Foresight Business Solutions are not just accountants, they are an expansion of your team who cares about the strength and foundations of your business. Foresight Business Solutions owner Ryan Correia has done an excellent on job tax returns and trust work since 2010. In auditing another accountant’s returns, Ryan found thousands of dollars of refunds missed by the other accountant. The 9 tax returns Ryan prepares for me each year include personal returns, trust returns (real estate trusts), and out of state returns. A very complex tax situation which Ryan and his staff have handled very well. One of Ryan’s biggest strengths is his flexibility in making my part of the tax return effort as easy as possible. For example, he purchased the version of Quicken which I use so that I can now just give him my Quicken file each year and he can pick out the expenses which must go on the returns. I do not therefore have to go to the time and effort of transferring data from my Quicken files to Ryan (or to his Tax Organizer). Ryan also acts as an agent to help me and my sister with work relating to out of state real estate in several trusts. Ryan has an excellent professional rapport with the real estate property managers, insurance agents, tax authorities, etc, and he regularly reports back to me on his efforts, which are very productive in general. Much of the work Ryan does for me is through his secure portal, and also via email when I request that. This makes it very convenient for me. I can, however, visit Ryan’s office whenever I like. Ryan has a very easygoing personality, a totally professional manner, and excellent communication skills, making it very easy to work with him. I highly recommend Ryan Correia and his firm for tax and other financial-related work.